Last day in Visby with wifey and we are taking the airplane at 7 pm, so we have quite a lot of time to spend in Visby. We are going to have brunch at our favorite cosy café Kafe:it and then we are definitely going for ice cream at Glassmagasinet. When we get back to Stockholm, we are both going home to unpack our bags, but then she is coming over to my place again. We do not really like to be apart you see, haha. Thinking about taking care of my nails as well, I got a lot of compliments when I had these gold glitter French manicure nails, that I made myself. 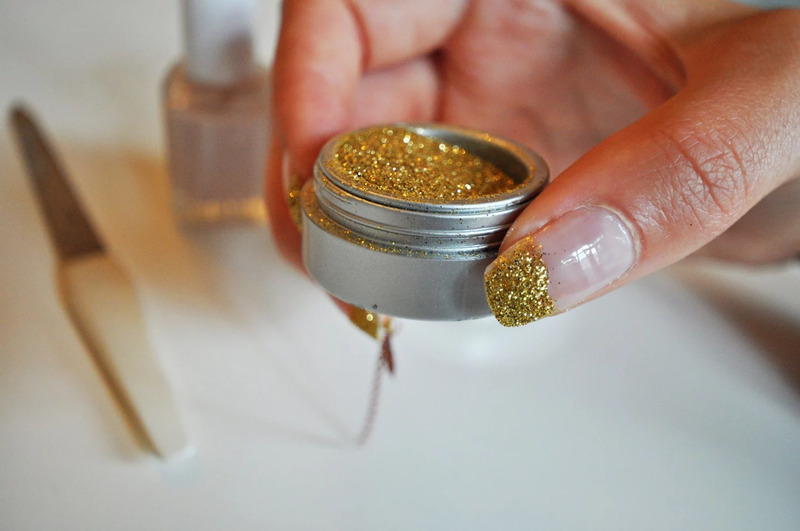 But this time I'll make it in another glitter color, will show you later!